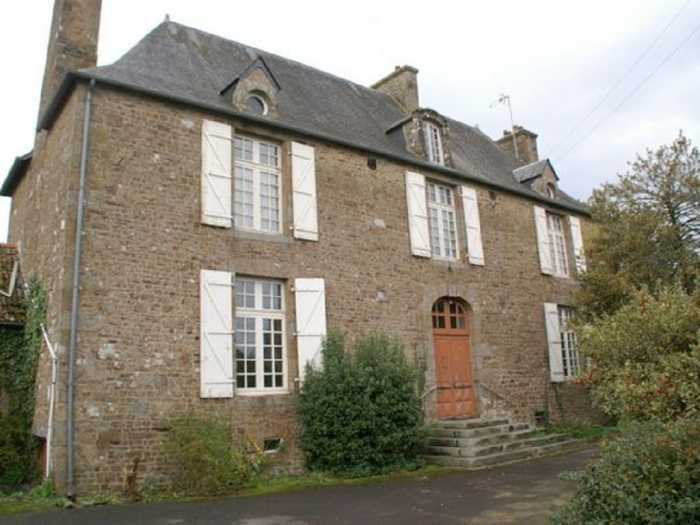 Handsome and spacious Presbytery that needs to be renovated on 1950 m². Ground floor: entrance, kitchen with granite fireplace (hidden in a closet), storeroom, WC. Lounge (woodwork, fireplace), small living room with fireplace. All rooms with access to the garden. First Floor: corridor serving 4 bedrooms... Office of Public Prosecutor. Bathroom, toilets. Vast loft suitable for conversion over the whole property. Cellar underneath with fuel boiler. Outbuildings: shed, garage, barn, awning housing the fuel tank and old laundry room with fireplace.